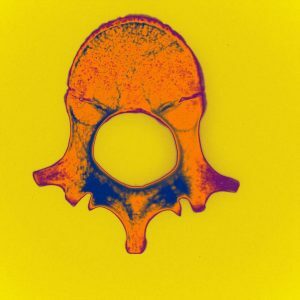 The aim of my research is to describe the skeletal development of the distal end of the femur using T1 MR Images and to develop a staging method useful for age assessment in living individuals. The analysis is undertaken taking into account morphological changes of the distal femoral epiphysis, changes in signal intensity at the growth plate and presence or absence of bone bridges. 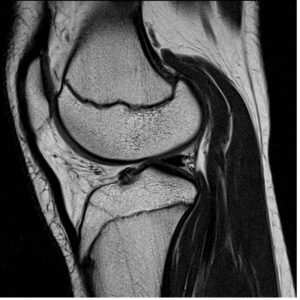 The final goal of the research is to describe the development of the distal end of the femur and create a protocol of analysis that practitioners can use and follow when analysing MRIs of the knee for age estimation purposes. 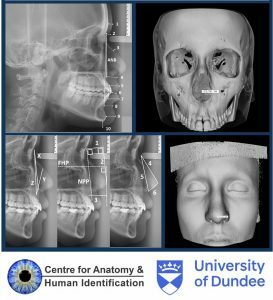 I started my PhD in 2016 and graduated with an MSc in anatomy and advanced forensic Anthropology at the University of Dundee in 2015, with a dissertation on age estimation in living individuals. My previous degrees include a BSc in Natural Science and a 2 years MSc in Biology and Evolution with a major in physical and biological anthropology. I am a human anatomy and forensic anthropology demonstrator and a RAI accredited level III forensic anthropologist. Analysis of Craniofacial Anatomical Interrelationships from Clinical Data and Human Dissection. My project is divided into two parts; the first part is related to the study of the canthal ligament of the eye by taking measurements from donated Scottish Thiel cadavers. While during the second part of my project, direct measurements were taken from living individuals. 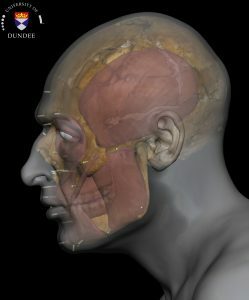 The aim of my project is to analyse, evaluate, and in some cases introduce, new guidelines that in turn will improve the accuracy of forensic facial approximation methods. 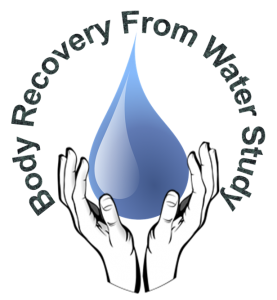 My name is Rehab Eltarhoni BDS, MSC and currently pursuing my PhD at the Centre of Anatomy and Human Identification at the University of Dundee. 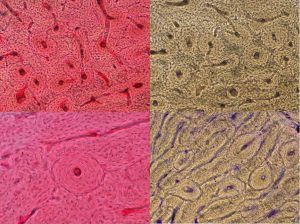 The aim of this project is to develop new plastination techniques that leave anatomical specimens more flexible and aesthetically pleasing, utilising Thiel embalmed specimens. The Thiel method of embalming developed and published by Walter Thiel (Thiel, 1992) has overcome many issues faced by traditional embalming. The flexibility and lifelike qualities possessed by cadavers which have been Thiel embalmed have allowed for innovative research and continuous professional development training to be carried out in medical professions such as surgery. However, there are no current publications outlining the methods used to plastinate Thiel embalmed prosections that are subsequently used for teaching undergraduate and postgraduate anatomy. The project will encompass the quantification of flexibility within anatomical specimens, as currently only qualitative opinions are provided on whether an anatomical specimen is flexible. This alongside investigation of alternative plastination methods, including vascular filling and defatting, will produce a unique step by step guide specifically for the long term preservation of anatomical specimens embalmed using the Thiel method. I graduated in 2012 with a BSc (Hons) in Forensic Anthropology from the University of Dundee. I then continued to work within CAHID as a Prosector and Technician. It was during this time that I developed a real interest in the preservation of cadavers and began to investigate the long term preservation of Thiel embalmed cadavers. My research is about a new South African street drug called Nyaope. It is not exactly known what the ingredients of this drug are, but some reports say it is a cocktail of many illegal substances ranging from heroin, cannabis, methamphetamine, cocaine to pain killers where in each case the material also includes anti-retroviral drugs. The main ingredient is believed to be the anti-retro viral drug, Efavirenz, thought to prolong the effects of other narcotic drugs in the Nyaope mixture. Following reports of an overwhelming increase of its abuse, Nyaope was eventually criminalised in 2014. Originally Nyaope was mixed with cannabis for smoking but nowadays some people choose to chew, snort, inject or heat it up and inhale the fumes. My research is involved with the development and validation for a methodology for the isolation and analysis of pyrolysis products of Efavirenz in its mixture with other alleged components of the Nyaope street drug. The products (captured from smoke during pyrolysis) can be used to study the abuse potential of the Efavirenz. When the fingertip is placed onto a surface, it leaves between an impression of the ridge detail. 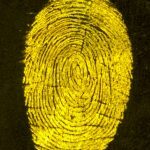 Depending on the type of surface and its environment, the contact impression may be visible (patent fingermark) or invisible (latent fingermark) to the naked eye. If the impression is latent, then it needs to be enhanced in order for it to be seen and recorded. 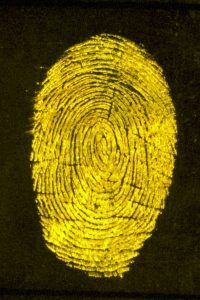 The choice of enhancement technique will depend on the physical characteristics of the substrate, the environmental conditions in which it has been stored or found and if it will undergo further examination for other forensic evidence, e.g. DNA. 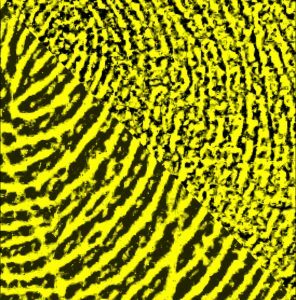 The aim of my project is to better understand the interaction between fingermarks and metal substrates, to improve the enhancement and recovery of latent fingermarks. Metal is found in many everyday objects that may be examined during a criminal investigation. Objects may include: door handles, ornaments, jewellery, railings, knives, screwdrivers, firearms, ammunition, etc. I hold a BSc (Hons) in Chemistry from the University College Dublin and MSc. in Forensic Science at the University of Strathclyde, I undertook the research for my MSc dissertation at the Office of the State Pathologist in Ireland which confirmed I wanted to continue research for a PhD. In 2013, I began my PhD at the University of Strathclyde with Professor Niamh NicDaeid and moved with her to the University of Dundee in 2014. At the University of Dundee, I took on the role of part-time laboratory technician for Professor NicDaeid’s research laboratory and continued my PhD on a part-time basis.